During the holidays there are always guest staying with us. And I like to have my bathrooms looking pretty and smelling pretty too. The Fluer D’Extase Savon Pur Pure Soap helps me accomplish this. 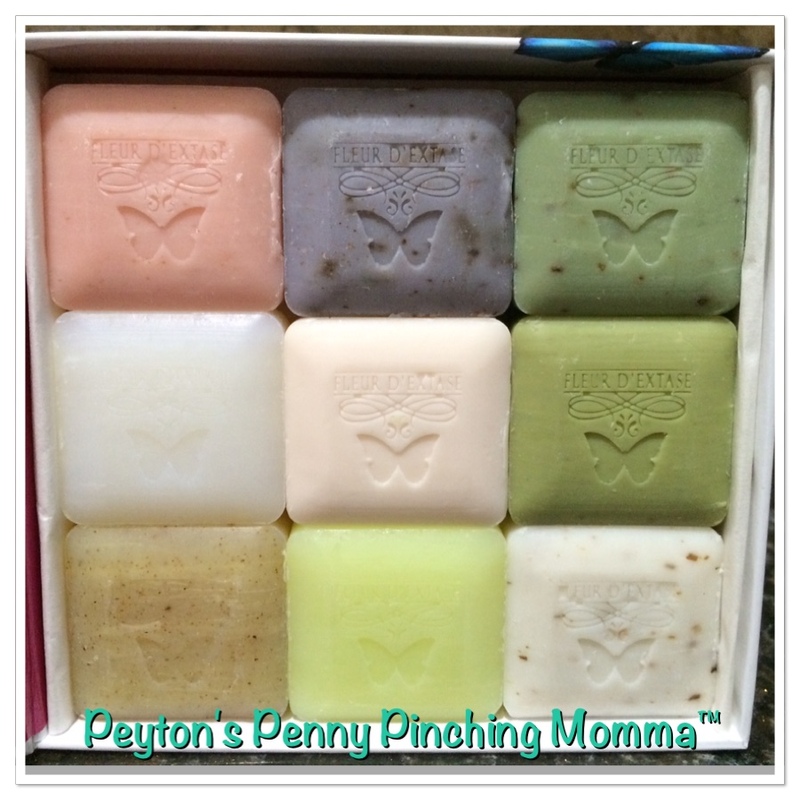 There are 9 scented soaps in each box. I would say they measure to be about 1.5 to 2 inches square. And they smell amazing! These soaps are high quality soaps. They are all triple milled and only use the finest plant based ingredients. These soaps are all natural! No harmful chemicals in these babies. And you can tell the difference. When I used my first one it felt silky and smooth. Afterwards my skin felt soft and there was a very light fragrance left behind. My only complaint is I cannot tell which fragrance I am using. 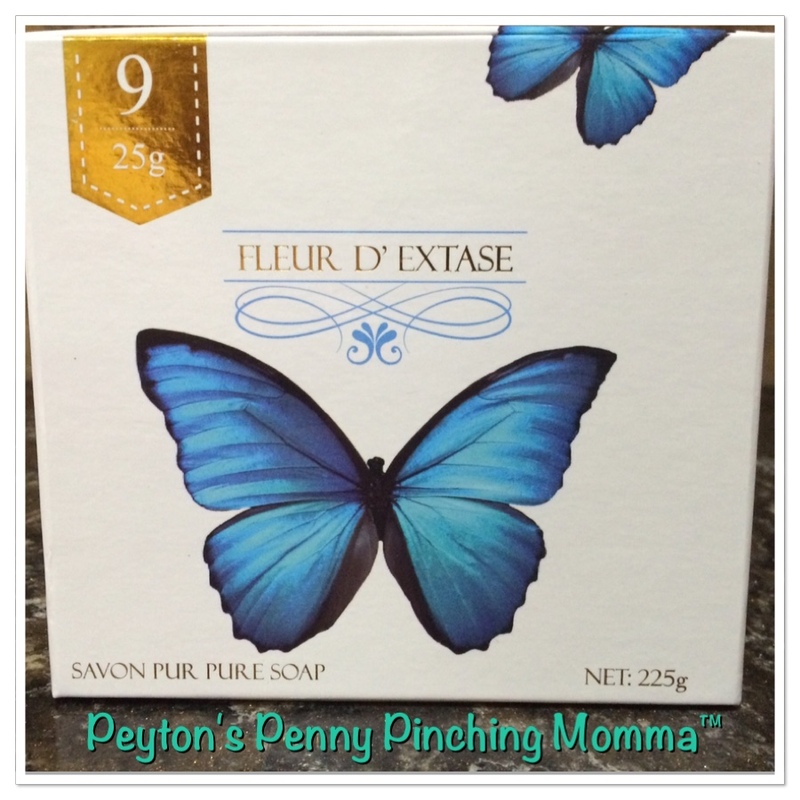 I wish the box had a key on the inside or maybe the scent written behind each soap. Would I buy a full size? Heck yes! I’m just not sure which scent because they all smelled so wonderful. I’m on my second bar and I love it just as much as the first. I still get that silky soapy experience in the shower. These would make a wonderful teacher gift, hostess gift or gift for anyone that loves elegant fragrances. You can find them on amazon.